The Rev. Dave Hill faces an unexpected setback when his beloved church burns down -- prompting the officials at the adjoining university to try and kick his congregation off campus. Battle lines are quickly drawn between the church and the community as the reverend now finds himself at odds with his longtime friend -- the president of the school. Facing a legal battle, Hill soon seeks help from his estranged brother -- a big-city lawyer and atheist -- in a fight to help rebuild the church. 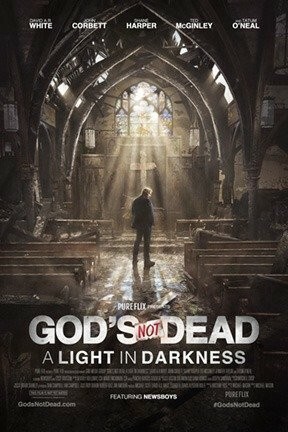 God's Not Dead: A Light in Darkness is not showing in any theaters in the area.